MTC Interactive LED display combine the input and output capabilities of our diverse interactive technology with the various size of LCD technology. 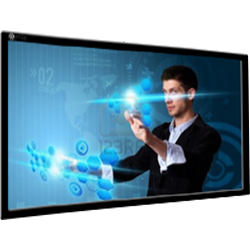 Our interactive display offers a fully integrated solution, as a small remote control interactive display or a desktop type second display, to a main screen in your meeting room or classroom. Our interactive display is the best aids for helping you presenting the ideas and concepts, or absorbing the audiences or students in improving outcomes. 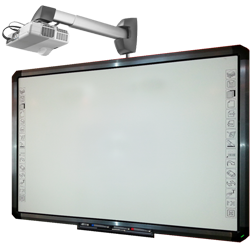 MTC Interactive White Board is a combination of easy to use white board formats integrated with the computer, and are key to new training experiences and practices cutting across businesses, government sectors and other learning environments. The great advantage of this product is that it allows direct digital annotation in the normal duration of a learning session or presentation; these are automatically saved for future reference or sharing with others in pdf, jpg and other popular formats. Apart from convenience, the product is so easy to operate that it requires no extra training effort.